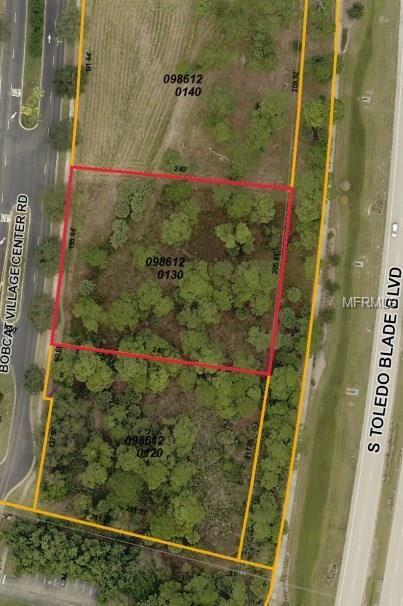 1+ acre commercial property located approximately 3 miles from I-75 and 2.5 from US 41. Frontage on Toledo Blade and Bobcat Village. Great opportunity for medical office, retail, professional office. Located near Sarasota Memorial ER and Health Care, home and apartment communities, and various existing businesses. Listing provided courtesy of Bright Realty.